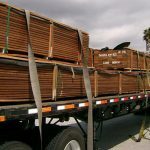 In addition to Cumaru and Red Balau, Jatoba is an excellent alternative to Ipe. 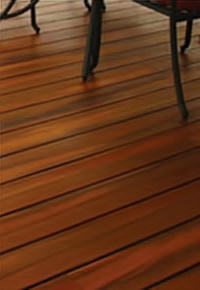 While Ipe remains the favorite tropical hardwood decking species of many, it is often difficult to source and cost-prohibitive. Even though these other species are not as hard or dense as Ipe, they are still very durable and beautiful options for any exterior application. 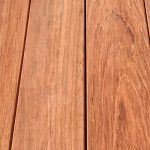 As a tropical hardwood decking product, Jatoba is definitely an excellent option to consider for your next deck or recommend for your next decking customer. 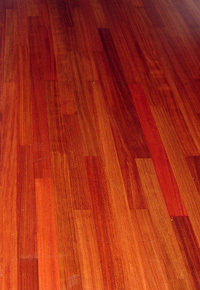 Also known as “Brazilian Cherry,” this South American species has long been appreciated within the flooring world. 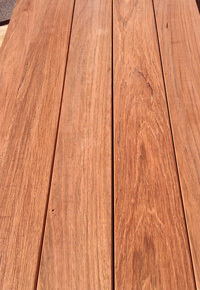 Like the other tropical hardwood decking species, it resists insects and rot. It is also very dense, but not as dense as Cumaru or Ipe. Freshly milled Jatoba does change color more than many other species, deepening significantly from its original light color when freshly milled; even a single afternoon in the sun can cause significant color change for this species. 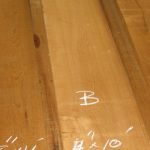 Over time, Jatoba will turn gray, unless it is regularly treated. 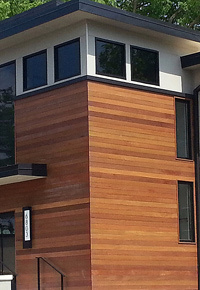 One benefit unique to this species is its versatility: Jatoba can be used for both interior and exterior flooring. 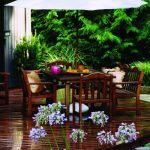 Also commonly used for outdoor furniture and siding, Jatoba provides a fabulous option for those wishing to create a seamless visual flow from indoor to outdoor living spaces. 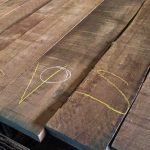 The comparatively lower density allows Jatoba to acclimate more quickly from the lumber yard to the installation site, as well as from one season to the next. While the color-change potential can be seen as a negative, we can recommend excellent finishing and treatment options that will capitalize on the beautiful reddish brown color of this wood. 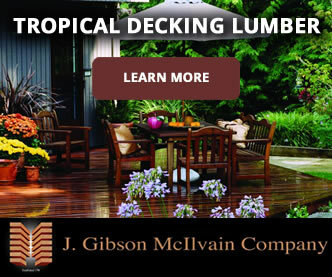 J. Gibson McIlvain keeps an inventory of two different Jatoba products — one that’s suitable for exterior decking and another that’s intended for interior flooring applications. The exterior product, as a decking product, is S4S, E4E, and air dried to a moisture content of about 18%; as with any decking lumber, it is not a finished product. The interior product is kiln-dried to a moisture level between 6 and 8%; it can be sold rough sawn or can be milled according to your specifications, at our in-house millworks. 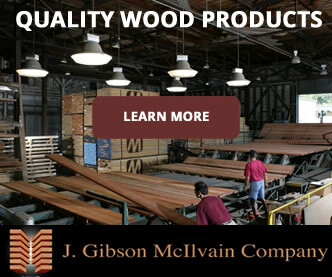 Regardless of which Jatoba product you choose, you can be assured that J. Gibson McIlvain’s quality control process will mean that the Jatoba you buy from us will be the best you can find, for indoor or outdoor applications — or even for both!